This wheel is the match for the wheel I built around a generator hub so that I can ride at night. Next year I’d like to try some cycling events that have some significant night-riding components, which means I need light and I’d rather not eat up a ton of batteries. 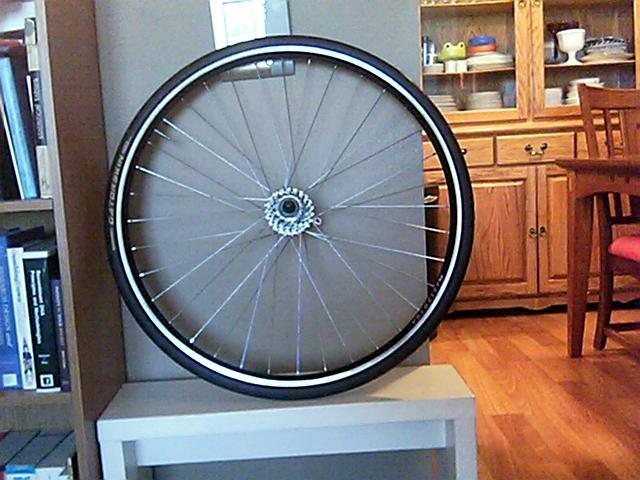 I built this wheel as a 36-spoke wheel (strong!!!) with 3-cross geometry using DT Swiss Competition spokes and a wide Velocity A23 rim around a Shimano Alivio hub we had lying around the shop in the spare parts bin. This gives me a hand-made wheel for minor cost in parts and my own labor (although I did have both wheels inspected and approved by expert mechanics). So now, with this, Ima ready to ride!!! 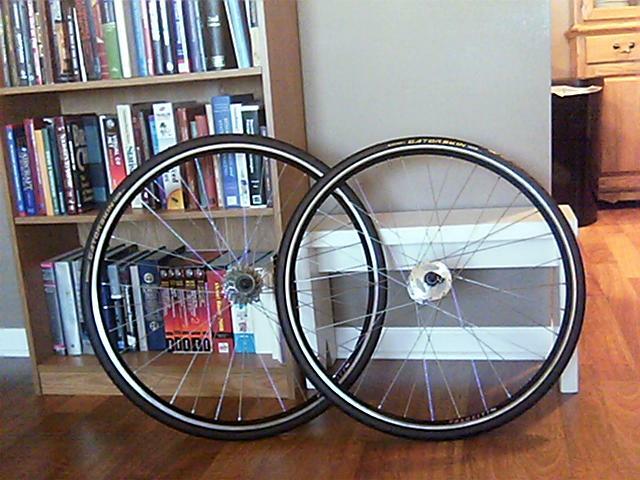 Randonneuring wheel set, left is the rear, right is the front with Shimano Nexus Dynohub. This entry was posted in Equipment, Shop Techniques, Training. Bookmark the permalink.